While recent social media API restrictions limit others’ access, Ahalogy is expanding measurement capabilities on its Muse platform. CINCINNATI--(BUSINESS WIRE)-- Quotient Technology Inc., (NYSE: QUOT) today announced that its Ahalogy brand, a leader in influencer marketing, has rolled out a new performance dashboard for Ahalogy Muse™— the company’s influencer platform that pulls in category trends and influencer data powered by its network of more than 5,500 premium content creators. The performance dashboard creates a centralized place for brands to stay updated on the progress of their current influencer campaigns with Ahalogy. Brands can now view all of the content and social media posts for their campaign on their Muse account, alongside real-time reporting metrics that include verified paid social media engagements, audience data, and influencer insights. 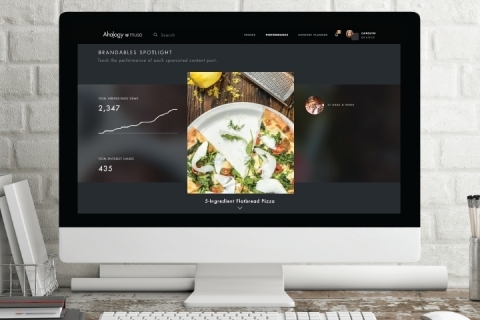 The dashboard integration is part of Ahalogy’s ongoing effort to expand reporting and make influencer campaign metrics more transparent. Previously, Ahalogy launched the first third-party verification (TPV) solution in the market, ensuring that influencer marketing impressions, traffic and other key engagement measures are valid. In recent months, several major social media platforms have cut back API access to third-party apps, including many players in the influencer marketing industry. These adjustments have become a roadblock for influencer companies that still rely on pulling organic activity. Ahalogy, however, has not had to make any adjustments to its reporting capabilities or to the data from which it is currently pulling. “Ahalogy is more immune to changes in social media algorithms because of our model, which relies on paid media across platforms through our own influencer network and full-service client success team,” said Bob Gilbreath, Quotient's VP of Social Media Platforms and GM of Ahalogy. While a campaign is running, the dashboard will track all performance metrics including total number of impressions, clicks, and engagements in real time against the brand’s initial goals. Additionally, users can scroll down the page to reveal links to each piece of content and subsequent social posts along with the Muse trends that inspired the creative. The reporting dashboard is available now to all Muse users running influencer campaigns with Quotient. Brands and agencies looking to work with Ahalogy can apply for access to the software at www.muse.ahalogy.com or contact muse@ahalogy.com for a free demo.